In a large saucepan, simmer the Perry over moderate heat, stirring occasionally, until reduced to 1 cup, about 1 hour. Pour the reduced Perry into a bowl. Line a 9 x 13 inch rimmed pan with foil and coat the foil with nonstick cooking spray. In a medium saucepan, combine the heavy cream and condensed milk and bring to a simmer over moderate heat; keep the mixture warm over low heat. In another large saucepan, combine the sugar with the reduced Perry, corn syrup, water & salt and bring to a boil. Simmer over moderate heat until the sugar dissolves, about 5 minutes. Carefully whisk in the butter until melted. Gradually whisk in the warm cream mixture until incorporated. Cook over moderately low heat, stirring frequently, until a golden caramel forms and the temperature reaches 245 degrees F on a candy thermometer, about 45 minutes. Stir in the cinnamon, allspice & cloves and scrape the caramel into the prepared pan. Let cool completely, then refrigerate the caramel overnight. Lightly brush a sheet of parchment paper with oil. Invert the caramel onto the parchment and peel off the foil. Using a sharp knife, cut the caramel into 1-inch-wide strips, then cut the block crosswise into 1/2-inch rectangles. 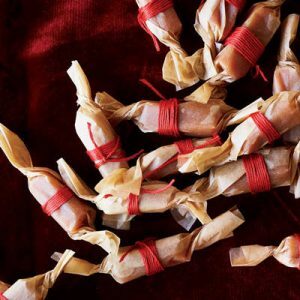 Wrap each caramel in a square of parchment paper or a candy wrapper and twist the ends to seal. Serve or pack the caramels into boxes. Combine brown sugar and heavy cream over medium-high heat in a medium heavy-bottomed sauce pot. Stir until sugar is dissolved in the cream and the mixture bubbles, about 3 minutes. Add the vanilla, salt and Perry, stir to combine. Allow mixture to simmer for 10 minutes, or until heated through. 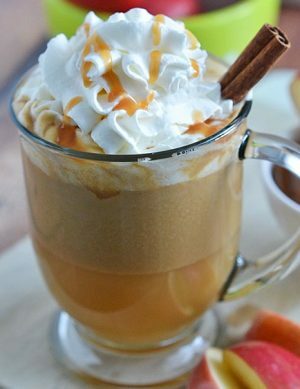 Serve into 4 cups, add whipped cream, caramel syrup and cinnamon, for garnish. Add sliced onions to the bottom of a 5-6L slow cooker bowl. Place the pork shoulder on top of the onions. Sprinkle with seasonings and garlic. Pour Perry over the pork shoulder and seasonings. Cover and cook on high for 4-5 hours, or low for 8-10 hours. 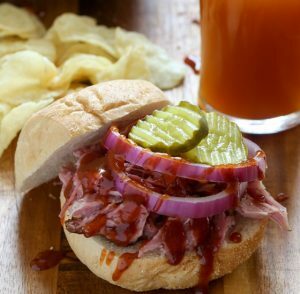 Pork is ready when the internal temperature reaches at least 145 degrees F. Carefully remove Pork from the slow cooker. Shred by hand using forks. If desired , return shredded pork to slow cooker to absorb the juices. Serve with cooked onion slices. Bring Perry to a simmer in a medium saucepan. Add rye, Campari and vermouth, stir until warm. Divide between two heatproof mugs or glass serving glasses, garnish with orange twist and serve immediately. Place potatoes in a medium saucepan, cover with water, and bring to a boil. Cook for 8 minutes, then drain. In a non-stick frying pan, heat 1 tablespoon canola oil over medium-high heat. Add potatoes and cook, stirring until browned, 5 minutes; remove from heat. Sprinkle cutlets with 1/2 teaspoon salt and 1/4 teaspoon pepper. In same frying pan, heat 1 tablespoon canola oil over medium-high heat. Add cutlets; cook until browned all over, 3 minutes. Remove from skillet. Add 1 cup of the Perry; increase heat to high and cook until thickened, 2 minutes. Stir in mustard, 1/2 teaspoon salt, and 1/4 teaspoon pepper. 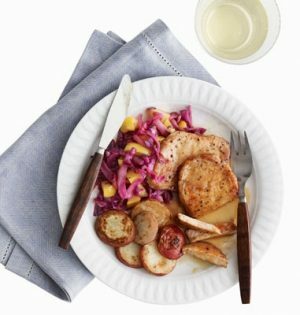 In a second frying pan, heat remaining 1 tablespoon oil over medium-high heat and cook cabbage, pear, 1/2 teaspoon salt, and 1/4 teaspoon pepper until crisp-tender, about 3 minutes. Pour in remaining 1/4 cup Perry and cook 1 minute. Place cutlets on plates; spoon sauce over pork. Serve with potatoes and cabbage. Fill a tall beer glass half full with the Perry. Insert a the back side of a spoon into the glass, with the tip touching the inside of the glass above the Perry. 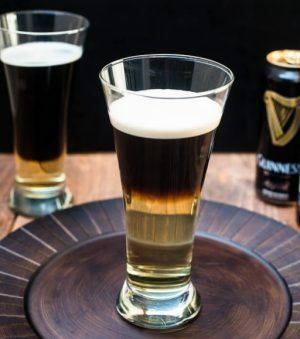 Gently and slowly pour the Guinness over the spoon and allow it to pour down over the Perry. 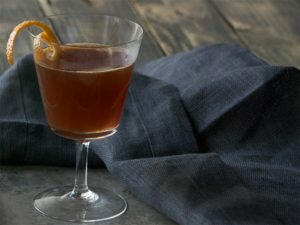 Give the cocktail a moment to settle and serve. Preheat the oven to 350 degrees F and line cookie trays with baking paper. Drop 2-tablespoon-sized heaps onto the baking paper lined cookie trays with plenty of space to spread and bake for 12-14 minutes, or until the edges are golden but the cookie is still very, very soft. Let the cookies cool on the baking trays until firm enough to move to a cooling rack. Repeat with as many batches as necessary. The creme requires Perry syrup, which is made by simply heating ⅓ cup of Perry in a small saucepan over medium-high heat until it comes to a boil and then reducing it to a simmer for about 20 minutes, or until the cider has reduced by half and coats the back of a spoon. It will thicken more after it is removed from heat, so don’t overdo it or you will wind up with candy rather than syrup. The cider syrup will stay good in a sealed container in the refrigerator for 1 week. Scoop the crème into a plastic freezer bag and cut off one of the bottom tips of the bag. Seal the top of the bag and squeeze the bag to pipe the crème. 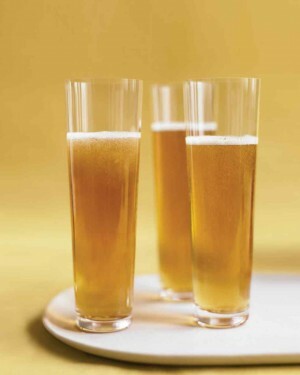 Pour 1 tablespoon Cognac into each of 2 Champagne flutes. Top each with 1/2 cup chilled Perry and finish with a few dashes bitters. Process 55g (1/4 cup) caster sugar, cocoa and pecans in a food processor until pecans are finely ground. Add chocolate, 60g butter and egg, and process until mixture forms a paste. Preheat oven to 220C and line an oven tray with baking paper. Place pastry on tray. Using a 24cm cake pan as a guide, cut out a 24cm round from pastry. Place a 21cm cake pan in the centre of the round, and, using it as a guide, score a 21cm round in pastry to create a border. Freeze tart base until needed. Quarter pears, then core and cut lengthwise into 3mm-thick slices. Place flour, remaining 1 tablespoon caster sugar and pears in a bowl. Spoon over the vanilla, then, using your hands, toss to coat. Spread chocolate mixture over pastry within scored round. Place similar-sized pieces of pear, tightly overlapping, over chocolate mixture (you will have some leftover pear). Melt the remaining 20g butter and brush over the pears. Bake tart for 15 minutes, then reduce oven to 190C and bake, covering loosely with foil if the pastry is over-browning, for a further 25 minutes or until pastry is dark golden and puffed. Set tart aside for 10 minutes to cool. 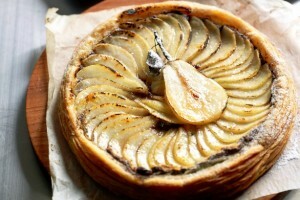 Dust tart heavily with icing sugar, then, using a kitchen blowtorch, caramelise pears. Serve the tart warm or at room temperature with double cream. 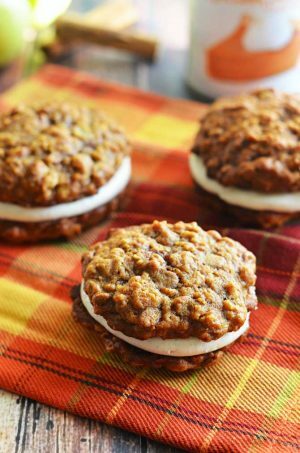 Combine the pumpkin and 2 tablespoons of the oil in a large baking paper-lined oven tray. Season with salt; roast for about 25 minutes or until tender and browned lightly. Sprinkle with chilli. Reserve 1/4 of the pumpkin; cover to keep warm. Meanwhile, bring stock to a gentle simmer in a medium saucepan. Melt butter in a large heavy-based pan; add onion, cook, stirring, until soft but not coloured. Add garlic and rice, stir to coat well with onion mixture; cook, stirring for 1 minute. Add Perry, simmer, uncovered, until liquid has evaporated. Add 1/2 cup of hot stock to rice mixture; cook, stirring over a medium heat, until the liquid is absorbed. Continue adding stock, 1/2 cup at a time, stirring between each addition, until half the stock has been added. Stir in the pumpkin, then continue adding stock, 1/2 cup at a time, stirring between each addition, until all the liquid has been absorbed (this step should take about 20 minutes). Heat remaining oil in a small frying pan over a high heat; add sage leaves, fry for about 20 seconds or until crisp. Remove with a slotted spoon and drain on absorbent paper. 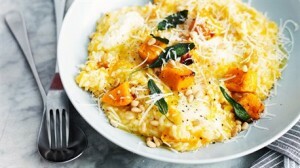 Remove risotto from heat; stir in the mascarpone or sour cream and parmesan. Season. Serve topped with reserved pumpkin, pine nuts and crisp sage leaves.